Researchers have discovered evidence that endurance exercise, such as running, swimming, cross-country skiing and cycling, will help you age better than resistance exercise, which involves strength training with weights, as reported in Medical Xpress. In a study published in the European Heart Journal, researchers in Germany looked at the effects of three types of exercise—endurance training, high intensity interval training and resistance training—on the way cells in the human body age, and they found that endurance and high intensity training both slowed or even reversed cellular aging, but that resistance training did not. A couple of things to lay out before we start here. 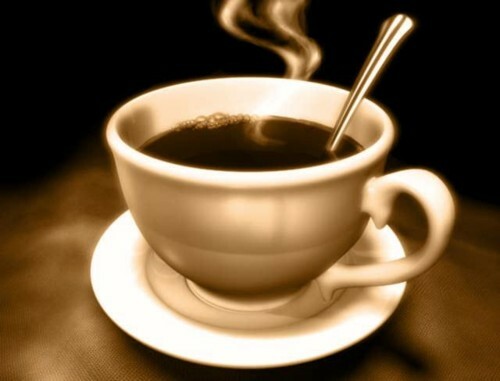 First, I don’t drink coffee with caffeine as I try to keep drugs of any kind out of my system. Second, I am a regular bicycle rider and am always on the lookout for new sources of energy. The other morning I had a new situation. I had a date for early afternoon to attend a play. In addition, we had reservations for brunch at noon. From this schedule, I was not going to have a lot of time to get in a bike ride. So, I thought I would rise at first light and take out the bike for a ride ahead of walking the dog and my social schedule for the day. Normally, I start the day with what I call my rocket fuel. It is a smoothie that contains all my vitamins. You can read about it in A super breakfast smoothie. On the morning in question, my reservation about my smoothie was that it takes 15 minutes to make and another 15 minutes to drink. I didn’t want to spend 30 minutes doing that. I wanted to be riding my bike. On the other hand I was concerned that having just awakened from a night’s sleep, my energy reserves were low. I sure didn’t want to black out. I hadn’t eaten in over nine hours. 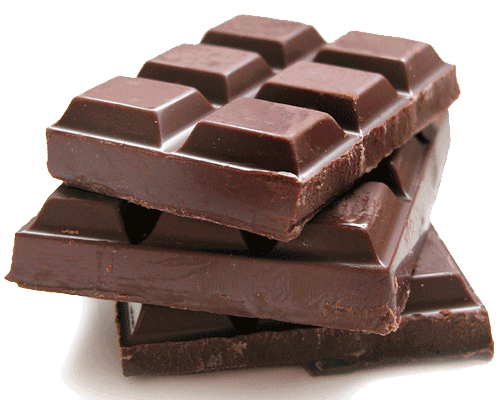 Is Chocolate a Good Energy Booster? There are lots of kinds of chocolate, but if you are thinking that milk chocolate, the most popular kind, is a good energy booster because it has caffeine in it, you are incorrect. WebMD said, “Chocolate does have caffeine. But if you’re looking to get a caffeine boost, chocolate isn’t your best bet. You’d need to eat 14 regular-sized (1.5 oz) bars of milk chocolate to get the same caffeine as you’d find in a 8-ounce cup of coffee! That would have about 3,000 calories and more than 300 grams of sugar — compared to only about two calories in black coffee. This is part of a WebMD quiz on chocolate that you can take at the link above. If you want to boost your energy, eat or drink a tablespoon or two of coconut oil. You can take it straight from the jar, or mix it into your smoothie or energy drink. One of my problems with most advice on working with weights is that it is written by young jocks for young jocks. I am a senior citizen and I don’t want to break or tear any parts of my body. If I tried to emulate some of the recommendations or workouts done by you younger guys and gals I think I would end up in the emergency room. The principles of exercise change for seniors whether it is cardio or resistance work. I have written about seniors doing endurance sports and also seniors lifting weights. Dr. Anthony Goodman, in the course I took called Lifelong Health, said that seniors should concentrate on using lower weights, but do higher reps because seniors want to strengthen their ligaments and tendons as well as the muscles. Ligaments and tendons weaken as we age and lead to injuries that can really slow you down. Strengthening ligaments can also protect you from common aging problems like Achilles tendon rupture, rotator cuff tears in the shoulder and hip and knee injuries. Having said that, I am very pleased to pass on the bottom quarter of a recommendation from Dr. Doug McGuff as reported by Dr. Mercola on his fitness website in January of 2012. Although over a year old, it was news, welcome news, to me. I hope it will be to you, too. Sometimes old news is good news. Dr. McGuff is explaining super-slow weight lifting. As you will see in his conclusion it is especially helpful for seniors. 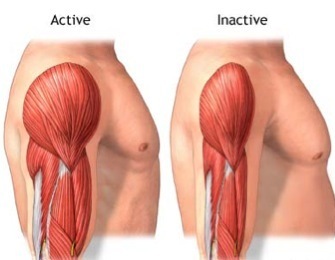 Essentially, by aggressively working your muscle to fatigue, you’re stimulating the muscular adaptation that will improve the metabolic capability of the muscle and cause it to grow. McGuff recommends using four or five basic compound movements for your exercise set. These exercises can be done using either free weights or machines. The benefit of using a quality machine is that it will allow you to focus your mind on the effort, as opposed on the movement, because the movement is restricted by the structure of the machine.